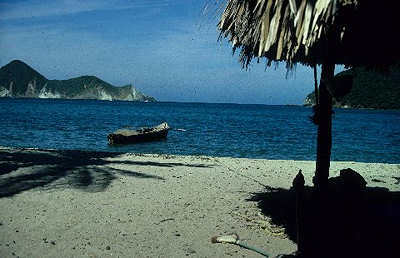 "little harbour", Colombia After being fired at in Santa Marta, Drake entered a little harbour twelve leagues eastwards. No harbours exist anywhere near this distance. Seven coves lie within seven leagues of Santa Marta. Since Ancón Cinto is the penultimate furthest from Santa Marta, is a far safer anchorage than the furthest cove, and has an old trail leading inland, I purport this cove is the most likely.